We know this is a departure from our usual focus of downtown, but when we come across something special, we want you to know about it first! We just listed this beautiful, completely renovated home in Palmer Ranch's Deer Creek, the exclusive and distinguished enclave south of Clark Road. Check out the just-released photos below; this one just hit the MLS today! Gorgeously landscaped entrance with brand new front doors, garage doors, and roof! Relax! The search for your idea home ends here. This property is the perfect & rare pairing of a stunning, modern home with a lushly landscaped & distinguished neighborhood. Located in coveted Deer Creek in Palmer Ranch, you’ll notice the pride of ownership from the moment you cross the stone bridge through the guarded & gated entrance, as evidenced in the beautifully-maintained grounds including majestic oaks and tropical flora lining the meandering streets. Upon approaching the home you’ll notice the brand new roof, new garage door, fresh paint, and thoughtfully planned landscaping. 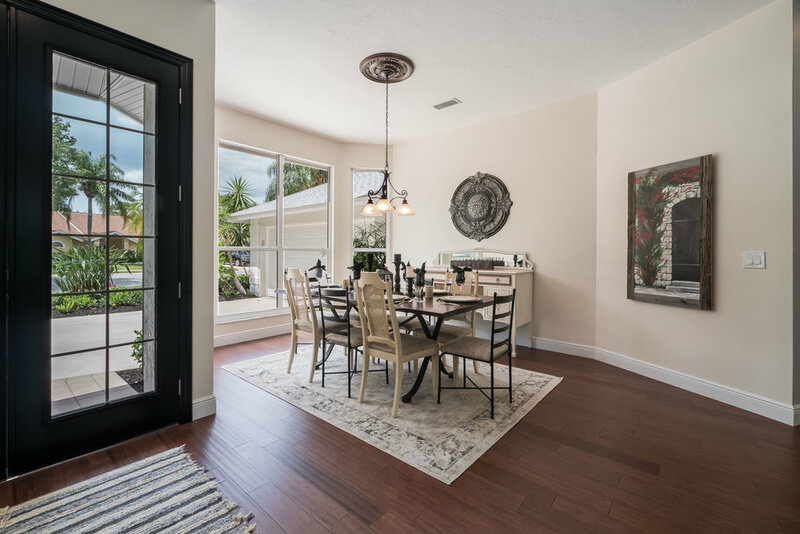 The generous split floor plan features lovely views of the water and wildlife behind the home from every room, which also means the house is flooded with natural light. 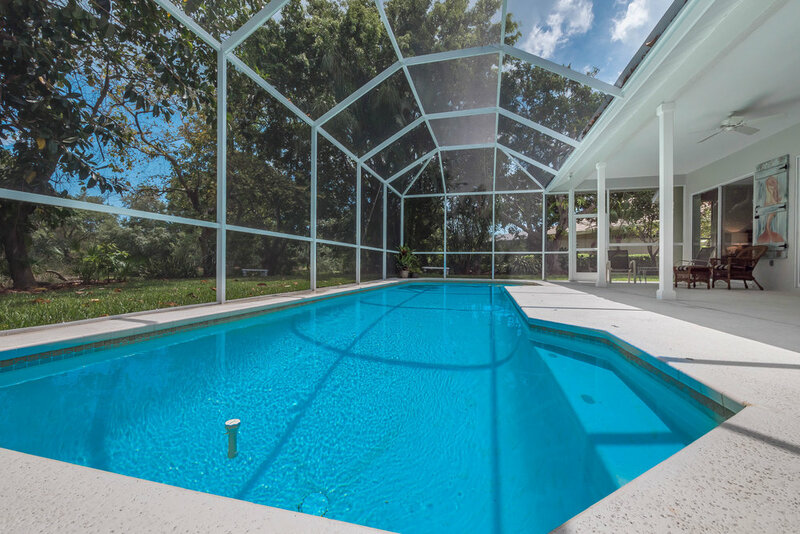 Spacious master bedroom features a fully updated & handicapped accessible bathroom, his and hers walk-in closets, and a beautiful poolside view. Custom quiet-close cabinetry and double pantries in the kitchen, brand new appliances in kitchen and renovated custom laundry room, upgraded light fixtures and ceiling fans throughout, added sun tubes to increase natural light, and a beautiful new facade to the fireplace all are part of this renovated dream home package. Literally nothing has been overlooked. Also, don’t forget the close proximity to the Legacy Trail, Siesta Key, and many shopping and dining choices. Lucky you to have found this one! Lovely, light & bright living spaces. Just check out that fireplace, not to mention the view! Stunning, brand new kitchen with quiet-close cabinetry, new appliances, and gorgeous granite. Not a detail was missed in the interior. The bedroom overlooks the pool and lake front, and the master bath has a spectacular new walk-in, wheelchair accessible shower. Even the laundry room got an upgrade, with added cabinets, towel bar, and granite countertop sink. The showcase of this home might just be this jaw-dropping view. 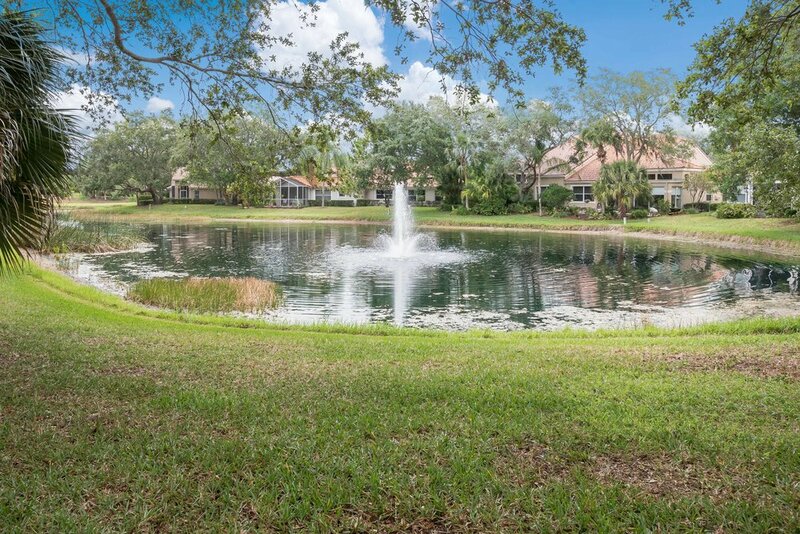 Highlighted by the lush tropical landscaping, the backyard feels private, quiet, and secluded. You can just picture yourself floating in that expansive pool overlooking the stunning greenery and lake beyond.